Jim Hightower has 1 media appearance. Jim Hightower discusses There's Nothing in the Middle of the Road but Yellow Stripes and Dead Armadillos: A Work of Political Subversion. Jim Hightower discusses Swim against the Current: Even a Dead Fish Can Go With the Flow. Jim Hightower , Swim against the Current: Even a Dead Fish Can Go With the Flow. The stories of Swim Against the Current are gathered from Hightower and DeMarco’s travels all over the country, watching, supporting, or joining various efforts to make positive political and social change. They found literally hundreds of these stories, and a whole book could have been written of Austin stories alone. They give us an entertaining and insightful look at making a living while staying true to one's values, as well as an irreverent and uplifting look at how individuals and companies can be both successful and socially responsible. Disproving the notion that a business must operate solely to improve its bottom line, they share inspirational stories from a variety of industries including international banking, real estate development, medical services, and environmentally safe, sustainable farming. Hightower and DeMarco include portraits of progressive community organizations, activists and individuals-such as the Granny Peace Brigade, the Rev. Rich Cizik, Granny D, and pharmacist Chris Johnson from Austin -who have bucked the system, made a difference and realized richer, happier lives. Jim Hightower reads from Swim against the Current: Even a Dead Fish Can Go with the Flow . Please note: This ticketed event takes place at the Bagdad Theater. Tickets, $25.95, include admission and a copy of Swim against the Current, and are available at the Bagdad Theater box office, the Crystal Ballroom box office, Ticketmaster.com, and all Ticketmaster outlets. Jim Hightower promotes Swim against the Current: Even a Dead Fish Can Go With the Flow. Jim Hightower on tour for Swim Against the Current: Even a Dead Fish Can Go with the Flow. 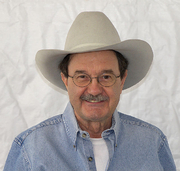 Jim Hightower is currently considered a "single author." If one or more works are by a distinct, homonymous authors, go ahead and split the author. Jim Hightower is composed of 2 names. You can examine and separate out names.